Fansies unite! The super-talented stars of Disney's blockbuster musical Newsies have a lot to celebrate this spring and they want all of their fans to join in on the fun. 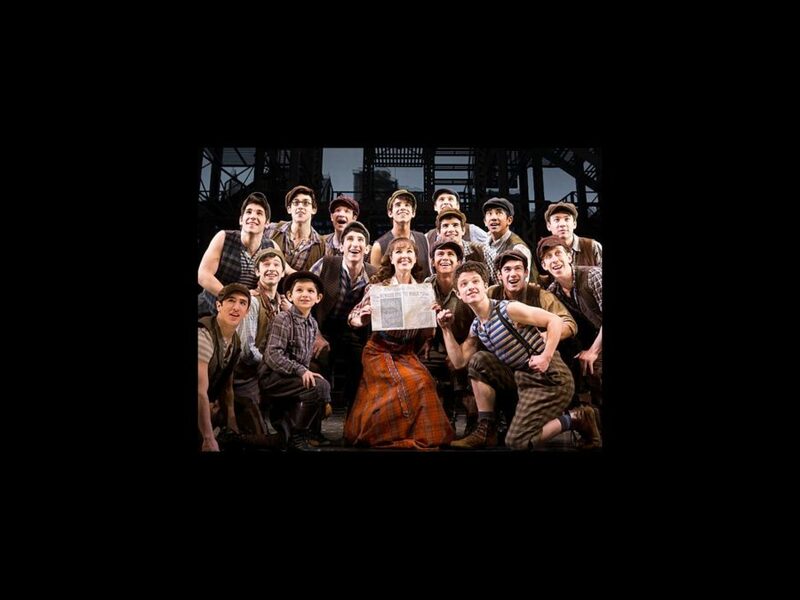 March 29 marks the Tony Award®-winning tuner's second anniversary on Broadway, and to celebrate, the hit musical has started a campaign called “Newsies: Get Up and Go” to encourage healthy lifestyles among kids. It’s no secret that we’re completely obsessed with this box office-busting, critically-acclaimed, completely dance-tastic musical! Newsies embraces the theme that what we do together can make a change for the better. In that spirit, the cast of Newsies will share the gift of dance to encourage kids to embrace physical fitness, good nutrition, and to “Seize the Day,” the Newsies way. Check out the video of the cast of Newsies performing “Seize the Day” on ABC's Dancing with the Stars below and start practicing now because Newsies is coming to a city near you! The "world will know" how to "get up and go," so will you be up for the challenge?